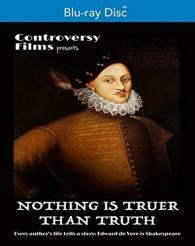 NOTHING IS TRUER THAN TRUTH is a feature length documentary about Edward de Vere, Seventeenth Earl of Oxford, A-list party boy on the continental circuit, who spent a year and a half in Venice and traveling in Europe, learning about commedia dell'arte and collecting the experiences that would become the Shakespeare plays. Shot in Venice, Verona, Mantua, Padua, and Brenta, the film ventures to actual sites De Vere visited in 1575-76, including the settings for THE MERCHANT OF VENICE, OTHELLO, ROMEO & JULIET, and TWO GENTLEMEN OF VERONA. The film features renowned Shakespeare scholars, actors, and directors, including Sir Derek Jacobi, Mark Rylance, Tina Packer, and Diane Paulus, and argues that De Vere's bisexuality is the reason for the pseudonym Shake-speare.